Our range of products include wooden hot stamping foil and mdf hot stamping foil. 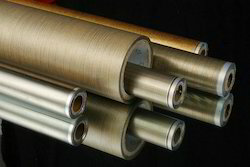 We hold expertise in offering the wide gamut of Wooden Hot Stamping Foil in the industry. The offered products are widely available in the variety of range as per the demand of the patrons. The various shapes are available of wooden hot stamping foil as per the requirements of the clients. This product can be customized at attractive prices as per the demand of the customer. Wooden Hot Stamping Foilare widely available in variety of range as per the demand of the customer. The various shapes are available of wooden hot stamping foil as per the need and requirements of the clients. This product can be customized and provided at attractive prices as per the demand of the customer. The wide variety of MDF Hot Stamping Foil available in various grades. This product is exclusively used for the complete spectrum of graphic material such as uncoated and coated paper and board, onto laminate, acetate, and film substrates. 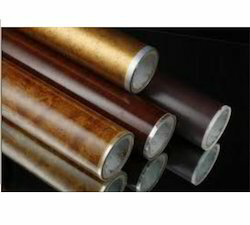 We provide metallic foils in the extensive gamut of colors as per the demand of the market. The creative option for clients is to use regardless of the substrate for failing which provides over-printable foils. Looking for Wooden Hot Stamping Foil ?